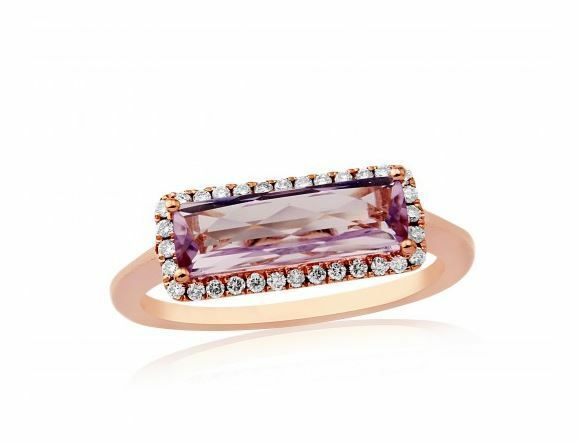 This Amethyst, also known as "Rose de France" is a pinkish variation we usually see. Visually contemporary as the rectangular, cushion cut gem is set horizontally, across the ring (finger) but made classic in style again by the intricacy of the Diamond setting. We’ve fashionable used 9ct rose gold to compliment the centre stone. A luxurious cocktail ring with stunning detail.